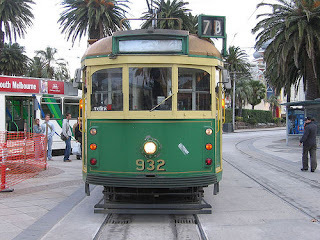 The Brumby State Government has announced plans to scrap Melbourne’s iconic W-Class trams. W-Class trams will only serve the Melbourne City Circle route. The W-Class tram has been a national Icon, like that of the Sydney ferry, has served Melbourne for nearly a century and is recognised world over. The W-Class trams should continue in service along the Toorak, St Kilda, Carlton and bayside routes during the summer months. The W-Class tram with its opening doors and natural ventilation is well sought after and will be sold off to oversees buyers at a premium price. The decision by the State Government is reprehensible and demonstrates a lack of social and historic understanding and appreciation of what makes Melbourne, Melbourne. Those responsible for this decision should lose their jobs. Once they have gone they are gone forever. It is now incumbent on the Australian Government to place restrictions on the sale and export of this important part of Australia’s heritage. The proposal brings Victoria in line with Western Australia which had also adopted similar changes earlier in the way votes are counted. The reforms proposed by the Victorian Parliament will have its greatest impact in the Local Government sector including the City of Melbourne. (Assuming that the same policy will flow through to Local Government). Analysis of past elections has shown that the results of the City of Melbourne Elections would have changed had this reform been in place at the time. The recommendation of the State Parliament has flown in the face of the Australian Federal Government who earlier this year rejected calls for similar reform to the Australian Senate System. The Australian Government, increasingly seen to be at odds with the states on electoral reform, remains stuck in the 19th century clinging on to an outdated and discredited counting system. Analysis of the 2007 Senate election has indicated that ALP Senator David Feeney could have lost his seat as a result of the distortion on the Senate Counting system, a system that would have delivered the Greens an additional 7,000 “bonus votes” above and beyond the number of actual votes received. The recommendation of the State Parliament Electoral Matters Committee is a step forward in improving the accuracy and public confidence in Victorian elections. The Parliament now needs to consider further the other anominally and error in the Senate Upper House election system, namely the way in which votes allocated to excluded candidates are redistributed. The order in which votes for minor candidates are distributed seriously effects the outcome of the senate elections. The system currently in place unfairly resulted in the Greens Queensland Senate Candidate “Larissa Waters” missing out in the right of representation in 2007 . The ALP unfairly won a third Senate spot as a result.